What would happen if the U.S. and some NATO allies decided to intervene in eastern Ukraine by supplying Kyiv with arms or by sending their own troops to the front lines? Mikhail Khodarenok has tried to answer this question, and provides much-needed tonic for Western observers wowed by the Kremlin’s “surprise” exercises since 2013. He is a conservative critic of the Russian MOD leadership and post-Soviet military “reforms” up to Sergey Shoygu’s tenure. Khodarenok argues against allowing Russian forces to be drawn into an escalating conflict because ill-conceived and continual “optimization” has left them unprepared for a conventional war against the West. Khodarenok is editor-in-chief of Voyenno-promyshlennyy kuryer or VPK. He’s a retired colonel, professional air defender, General Staff Academy grad, and former staffer of the General Staff’s Main Operations Directorate. In the late 1990s and early 2000s, he was an outstanding military journalist for Nezavisimoye voyennoye obozreniye, but by 2003 or 2004, he left for VPK. His latest for VPK is interesting, and follows in its entirety. Volunteers from the USA and Western Europe are interfering in the conflict in south-east Ukraine. One has to repeat yet again: statements, from time to time voiced by ultraliberal Russian politicians like “the problem has no military solution” and “all wars end in peace,” have no relationship to reality. Wars end only one way — a crushing defeat for some and brilliant victory for others. If the phrase “there is no military solution” appears, this means that one of the parties to the conflict simply has no strength for the victorious conclusion of the war. And if some armed confrontation ends like a draw, it is so perhaps because of the complete exhaustion of military capabilities on both sides. Of course, there are possible variants with some very minor deviations from this general line. Begin with the immediate and future tasks of the parties to the conflict in the south-east Ukraine. For the Kiev leadership the immediate, and future, and enduring goal for the historically foreseeable future is only one thing: restoration of the territorial integrity of the country by any means, primarily military ones. The strategic mission is to wipe the armed formations of the south-east from the face of the earth. Waiting for negotiations, for changes in the constitution of Ukraine in the right way for the unrecognized patches of territories, for federalization of the south-east — all this is from the realm exclusively of suppositions and imaginary games. Carthage (i.e. the separatist south-east) must be destroyed — and this thesis, without any doubt, will be dominant in all Ukrainian foreign and domestic policy. To hold other views today among the [Maydan] Square elite means immediate political suicide. Still Kiev doesn’t have the forces and means to solve the problem militarily. But this doesn’t at all signify the Ukrainian leadership’s refusal of a policy of crushing the south-east by military means. It’s necessary to say directly that, on the whole, the external and internal political missions of Ukraine in the south-east are clear and logical. It’s more complicated with the unrecognized south-east. Everything here is much foggier. It’s possible to demand self-determination for these territories, but what then? How can people live on this piece of land if it is practically impossible to guarantee the economic, financial and any other independence for the south-east (or more precisely, two torn off and extremely curvy pieces of Donetsk and Lugansk Oblasts)? Demanding federalization is also theoretically permissible, but official Kiev will never, under any circumstances, grant it. Return to [Maydan] Square? But so much blood has already been shed, the scale of destruction of the region’s infrastructure is simply astonishing, and the gulf between the parties to the conflict is so great that this is hardly possible without subsequent pogroms and mass shootings of insurgents by Ukraine’s central government. In general, a complete zugzwang — what to do is not clear to anyone, and the next move can only worsen the situation. It seems that the political line of the south-east, in these circumstances, can be only one thing — hiding behind a verbal veil and temporizing. And then, maybe, something will happen. In this regard, it doesn’t due to forget one important circumstance. In predicting the future, futurists of all stripes mainly use the very same method. From the point of view of a representative of anti-aircraft missile troops, as the author was in the past, — this is the hypothesis of a rectilinear and uniform motion target. A significant part of the forecasts is based on this postulate. But there is the “Black Swan” theory. Its author — Nassim Nicholas Taleb, wrote about it in the book “The Black Swan: The Impact of the Highly Improbable. ” The theory considers difficult to predict and rare events that involve significant consequences. In other words, it is impossible to describe the processes of the real world with only mathematics, employing even the most advanced models. From a certain point anything and everything can go contrary to predictions, extremely askew. It seems that the unspoken political line of the south-east — to wait is built on this. And then it will become apparent. Is it good or bad — only time will tell. Today in the south-east of Ukraine a cease-fire regime is in effect. But all parties to the conflict seem to realize that this is not the end, but rather only a pause before the summer campaign. We now turn to hypothetical scenarios of the developing situation in the south-east of Ukraine (we emphasize — scenarios exclusively from the realm of hypotheses and assumptions). How does the war in the south-east present itself from the point of view of military art? Essentially, two Soviet armies are fighting. One is a 1991 model (it is the armed forces of Ukraine), the other is a somewhat modernized version of the same Soviet army — better trained in an operational-tactical sense, manned by more competent specialists, and commanded better. And the armed confrontation is currently playing out solely on the ground — with only the forces of combined arms units and sub-units. The south-east doesn’t have its own air forces, and Ukraine’s — formerly small — air forces have gradually dwindled to nothing in the course of the conflict. Practically no serviceable aircraft and trained pilots remain for the [Maydan] Square. Volunteers for the south-east on their TO&E air defense equipment helped the development of such a situation a lot. Sometimes vacationers in their planes acted fairly quietly and unnoticed for the same purpose. But from the point of view of military art, the armed confrontation in the south-east is all just a somewhat modernized variant of World War II in its final stage. Neither this nor that side has identified new weapons and military equipment or new techniques and methods of conducting armed warfare. As is well-known, volunteer-vacationers are fighting on the side of the south-east. With their TO&E weapons as a rule. 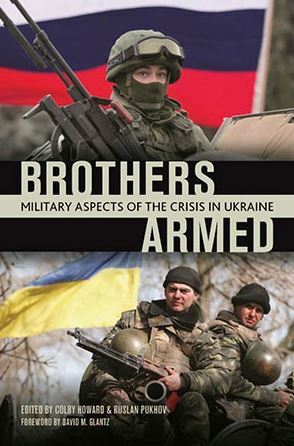 But now suppose such a variant (again, purely hypothetical, why not), that volunteers and vacationers from the USA and Western Europe began to arrive in the ranks of the armed forces of Ukraine, also with their TO&E weapons. Let’s begin with the air forces. Suppose F-15, F-16, F-22, A-10, “Panavia Tornado,” E-8A, E-3A began landing on the airfields of Kharkov, Poltava, Dnepropetrovsk, Zaporozhye. Previous identification markings and side numbers painted over, and marked in their place is the trident and yellow-blue banners of Ukraine. Prior to this, many flights to Ukrainian airbases delivered fuel and the most modern aviation weapons. Three CSGs (carrier strike groups) are deployed on the Black Sea coast of Bulgaria which has prostituted itself politically for the past 140 years. The typical composition of each is one nuclear-powered aircraft carrier, two-three guided missile cruisers, three-four guided missile destroyers, three-four nuclear-powered attack submarines. Armored and mechanized divisions of volunteers from the West outfitted with “Abrams,” “Leopard,” “Leclerc” tanks, “Marder” and “Bradley” BMPs, modern artillery are unloaded in the area of ​​Mariupol, Pavlograd, Izyum, and Lozove. In addition, we should make note of the volunteer units and sub-units (also manned by vacationers from the USA and Western Europe), electronic warfare, communications, unmanned aerial vehicles and so on, and so on. Do not forget also about the volunteer logistics and technical support units, without which modern war is unthinkable. Now a question. How long would the armed formations of the south-east hold out if a qualitatively different enemy entered the war, if a hail of modern aviation weapons — anti-bunker bombs, laser- and satellite-guided bombs, air- and sea-based cruise missiles showered down on LNR and DNR formations and units? If the order-of-battle were attacked by the newest armored combat vehicles and artillery? And the action of all this military splendor was supported by American intelligence of all types which has not even a close analogue in the world? And the planes of the volunteers of the West chase after every BMP, gun, and tank of the units and formations of the south-east, separately bomb every trench, firing point, and mortar position taken. And destroy the target with margins commensurate with the size of the trench itself. We’ll repeat the question: how long can the armed formations of the south-east hold out? A day? Two? A week? The answer is unfortunately: several hours would be good. Of course, the elder comrades — the Armed Forces of the Russian Federation — of the volunteers of the south-east can support them. And precisely at this moment — please get shaved(1) — the Third World War has begun. Such a version of events is the crystal dream of the current Ukrainian leadership. But Anglo-Saxon blood is too dear to shed for the future happiness of some half-wild Ukrainians. Therefore, such a version of developing events is still to be assessed as the game of a warmed-over imagination. And if you still continue to fantasize and try to imagine how the development of such a conflict in the South-West Strategic Direction [YuZSN] might look, if all interested sides take part in it under this or that flag. We say directly — the success of armed confrontation employing only conventional weapons is obvious in this case. It certainly will be on the side of the West. Unfortunately, the modern Russian Army is still less than qualitatively different from its Soviet predecessor of the 1991 model. And there is not very much of the latest weaponry, meeting the highest demands of the XXI century, in it. For example, at this time, we do not have a single operational large formation [объединение] of the air forces (which by the way are no longer themselves a service of the Armed Forces), equipped with modern aircraft with supplies of the newest aviation weapons for the conduct of at least 30 days of combat actions. The Black Sea Fleet today, to our great regret, is a branch of the Central Naval Museum. On the ships of the BSF it would be possible to study the history of Soviet shipbuilding in the 1960-1970s. Yes, and combined arms formations and units, if you collected everything that is on the territory of the former SKVO(2), you would get not more than 1.5 army corps (by Western standards). You clearly couldn’t form a 1st Ukrainian Front from the available set of forces and resources. There are no operational reserves on the district’s territory. That is, the formations and units clearly do not have the strength for operational-strategic missions on the YuZSN. To understand the sharpness of the situation, let’s add just one thing: if there are four-six specialized EW aircraft on every American carrier, then we don’t have a single similar aircraft in our entire air forces. One should note still one more very important point — the operational outfitting of theater of military actions in the South-West Strategic Direction hardly meets the tasks of conducting combat actions successfully. The airfield network, the quantity and quality of roads and railways far from fully meet the demands of pursuing armed confrontation. It suffices to note that some railroads pass through the territory of Ukraine, and the famous quadrangle in which there are generally no railways lies precisely on the YuZSN. In a word, the first railroad parallel to the front line goes through Ukraine, and the next — only through Volgograd. And as is well-known, where the railway ends, and so ends the war. As for the quartering of formations, units, and sub-units of the RF Armed Forces on the YuZSN, they are located mainly in the dispositions of the Soviet-era North Caucasus Military District. In those days, this district was deep in the rear with a small set of reduced-strength and cadre units and formations. The situation in this respect has changed a little since 1991. But now the neighboring country of the district with the most militant and anti-Russian mood is modern Ukraine. A fully legitimate question arises: what did you do the last 20 years? This period in the life of the Russian Armed Forces awaits its impartial historian. Still one can say the following concisely. All force in the 1990s and 2000s, maybe, went into continuous organizational-staffing measures(3). Meaning: form, then disband the very same, then restore it, disband it again, but incidentally with the aims exclusively of optimizing and improving the organizational structure, zeroize military science and education, cut military academies to the root under the well-meaning pretext of relocating them, scatter valuable cadres in the course of continuous cuts and reformations. Just two words — “reform” and “optimization” — in their harmful effect on the life of the Armed Forces are comparable, perhaps, only with the consequences of delivering a series of MRAUs (massed missile-air strikes). Perhaps, if we look at the matter critically, nothing qualitatively new was created (in any case this is debatable). We have essentially marked time for more than 20 years, while other countries have made a breakthrough in military affairs. If any positive trend has been noted, then it is only with the arrival of Sergey Shoygu in the Ministry of Defense. And somebody should be responsible for it — at least in terms of an objective analysis of the situation. Let’s examine try the defense ministers in recent years – from Pavel Grachev to Anatoliy Serdyukov. Having presented a line on the [MOD] leaders noted above, we can say — almost nothing suits, however. Or its suits, but not much. In the best case, all the enumerated persons were occupied with only one thing — “merge-unmerge,” and then cut. But court of history is impartial — no matter how so-and-so puffed out his cheeks or furrowed his eyebrows in the past, it is not at all the generals for special assignments from his inner circle who will write his testimonial for him. By way of conclusion. What do Russia’s Armed Forces do in the event of such a development of the conflict? Threaten to use tactical nuclear weapons? Meaning: if you do not stop, we will strike at Ukrainian nuclear power plants, chemical facilities, the series of hydroelectric power stations on the Dnieper River in order to create a flood zone and destruction. But this, as is well-known, is a double-edged sword. And there are not so many long-range tactical nuclear weapons delivery vehicles. After all, with our own hands we destroyed the class of missiles most needed for the defense of the country — RSMD(4). Of course, all the above described and enumerated is no more than speculation, fantasies, and hypotheses. But there can be only one exit from the Ukrainian crisis — under no circumstances should the Russian Federation Armed Forces be allowed to be dragged into the conflict in the south-east. Our country, the army and navy, needs to note objectively that we are still not ready for large-scale armed confrontation employing only conventional weapons. If you sort out all the criteria of the state’s readiness for war (Armed Forces training, preparation of the country’s economy, the preparation of the country’s territory to support the RF Armed Forces, preparing the population for defense), then most of them have very substantial problems. And it’s necessary to strengthen the country’s defense capability at a forced (downright Bolshevik) tempo, and create Russian Armed Forces which meet the highest standards of modern warfare. And the first thing is to stop the nervous organizational-staffing(3) delirium. A post-script to Khodarenok’s opus: where does he leave us? A frozen conflict [a draw — to use his term] is, of course, a win for the Kremlin. At least through the medium term. If the West intervened militarily in the conflict as Khodarenok hypothesizes, both sides would have to make dangerous decisions about working up the conventional escalation ladder. Moscow might conceivably back away from eastern Ukraine if given a serious bloody nose. Along the way, the U.S. and EU might also go “nuclear” economically by revoking Russia’s membership in the SWIFT international money transfer system. But if, as Khodarenok suggests, the West trumps conventionally, Moscow could consider a game-changing resort to nuclear weapons. With probably only messy endings in store for him anyway, Putin might have fewer compunctions here than the U.S. or NATO. He would have fewer choices too — escalate again or lose the war (and his grip on power). 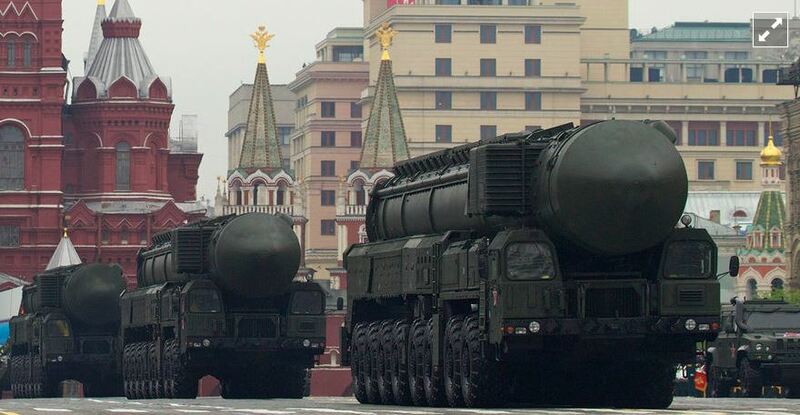 Would Russian military men be willing to use nuclear weapons over eastern Ukraine or to save Putin? There is, of course, an alternative more likely to be chosen by the West: Cold War-style containment of eastern Ukraine and Russia. It’s a less dangerous, but slow and frustrating process placing much of the burden of nation-state building on pro-Kyiv Ukrainians themselves and on the West’s willingness to finance the emergence of a viable country in contrast to the Russian-backed statelets in the east. However, this long road is open everywhere to Russian meddling, and frontline NATO allies would require lots of tangible reassurance. Whatever the policy course, it isn’t clear to this author that the U.S. and the West possess the same fortitude to pursue it that they did in the 1940s and 1950s. They don’t have the same cohesion in decisionmaking. Not many are willing to view what happens in Ukraine as a top policy concern. The U.S. is tired and distracted. Putin’s Kremlin, however, has already defined Ukraine as an immediate and vital interest. (1) Refers to Alexander the Great having his men shave before battle. (2) North Caucasus Military District. (3) A term used in the Russian workplace for reorganizations entailing closure of some entities, establishment of new ones, physical relocations, and personnel transfers and cuts. (4) Medium and shorter range missiles — covered by the INF Treaty. The newest deputy commander of the Black Sea Fleet is former deputy chief of the MOD’s Main Combat Training Directorate (GUBP), General-Lieutenant Yuriy Petrovich Petrov. The media quoted Petrov several times in that post, addressing either last year’s tank biathlon or Rheinmetall’s pullout from the Mulino training center contract. Moscow apparently isn’t neglecting the landward defense of Crimea. Petrov’s arrival might presage a beefing up of ground units on Russia’s most recently acquired territory. According to Mil.ru and KZ, the 50-year-old Petrov was born in the Dnepropetrovsk oblast (former Ukrainian SSR), and graduated from the Kiev Higher Combined Arms Command School in 1985. He got a platoon in the old Turkestan MD and, rather immediately, another graduation present — two years in Afghanistan (1986-1988). On his return from that tour, he commanded a reconnaissance company and served as chief of reconnaissance for a regiment in the Far East MD. 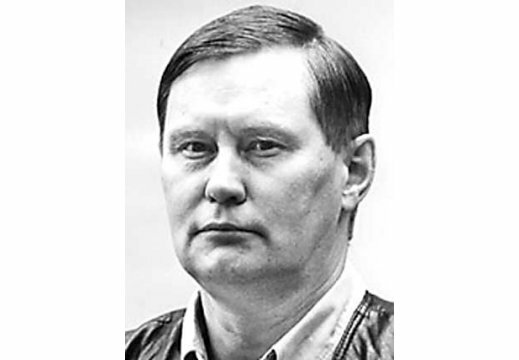 He completed the mid-career Frunze Military Academy in 1994, commanded a battalion, and then served as chief of staff for a division in the Moscow MD. In 2005, Petrov finished the General Staff Academy and took command of one of the Far East MD’s machine gun-artillery divisions. 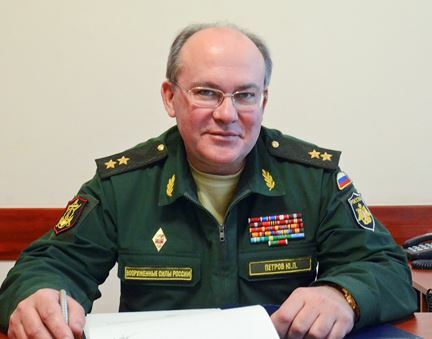 Petrov proceeded to head the Siberian MD’s combat training directorate. He was acting chief of the combat training directorate of the Ground Troops, then deputy chief of GUBP. He wears several combat decorations. Petrov likely will serve as Chief of Coastal Troops, Deputy Commander of the Black Sea Fleet for Coastal Troops. If this is the case, he’ll replace General-Major Aleksandr Ostrikov. Russia’s other fleets have Ground Troops generals in similar positions. 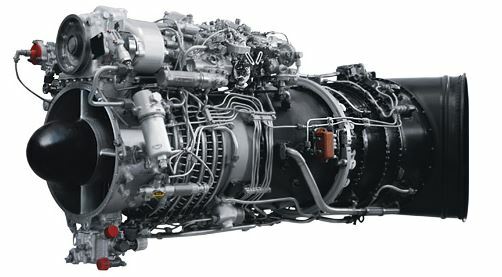 Russian helicopter engines will begin replacing Ukrainian imports. OAO Klimov announced on 30 April that it will produce VK-2500 helicopter engines to replace those previously supplied by Ukraine’s Motor Sich. A Klimov representative said the design bureau will manufacture 300-320 annually, including 250 for the Russian military. The announcement follows Ukraine’s late March ban on military exports to Russia following its seizure of Crimea. FGUP Salyut and other Russian firms will produce VK-2500 compressor components. The Klimov-designed VK-2500 turboshaft powers new Mi-28, Ka-52, and Mi-35 helicopters, and can replace engines on the Mi-17 and Ka-32. It is an improved version of Klimov’s TV3-117 with increased power, full authority digital engine control, and a longer service life. Approximately 90% of Russian helicopters carry Klimov engines. Klimov aims for complete serial production of the VK-2500 by 2016. It will be assembled at a new facility in St. Petersburg opening this summer. Russia laid the groundwork for a domestic production line several years ago. At that time, 500-600 engines per year was the goal. Even a smaller number, however, means Ukraine’s embargo may slow helicopter deliveries to Russian forces, but not disrupt them altogether.